Why worry about your scaly pal whilst you're away? We'll look after any reptiles exactly how you do for total peace of mind! We are proud of the quality of our frozen rats. 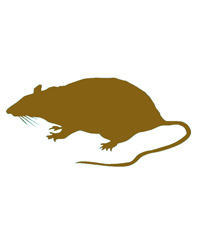 Frozen rats are a great diet for many snakes, lizards, amphibians and many other pets. They are available in a variety of different quantities from single packs up to large bulk quantities of 100. All our frozen rats are packed into a polystyrene box complete with cold packs to keep the items cold during delivery. For frozen orders we will contact you to arrange a suitable delivery day. As with all frozen food the exact weight of the package and individual rat can vary. "Thanks so much for taking the time to help me."